Sally Walker has presented workshops and technical assistance to schools across the United States. Currently Sally is the Executive Director of the Illinois Association for Gifted Children (IAGC). As Executive Director she works throughout the state to promote awareness and to advocate for gifted children, their parents and educators. She has been to Washington D.C. to work on federal legislation for gifted education. She is currently on the National Association for Gifted Children Education Commission to promote professional growth opportunities nationally. Sally is the author of the Survival Guide for Parents of Gifted Kids (Free Spirit Publishing), which has won two national awards. She has co-authored Teaching Young Gifted Children in the Regular Classroom (Free Spirit Publishing) and Making Memories, A Parent Portfolio (Pieces of Learning). 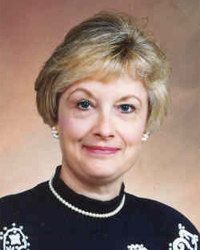 Sally has also written numerous articles She is listed in Who's Who in American Education, Who's Who in America. Who's Who in the World and Who's Who in Professionals and Administrators. Sally works with parents and educators to recognize and program for the special needs of students.